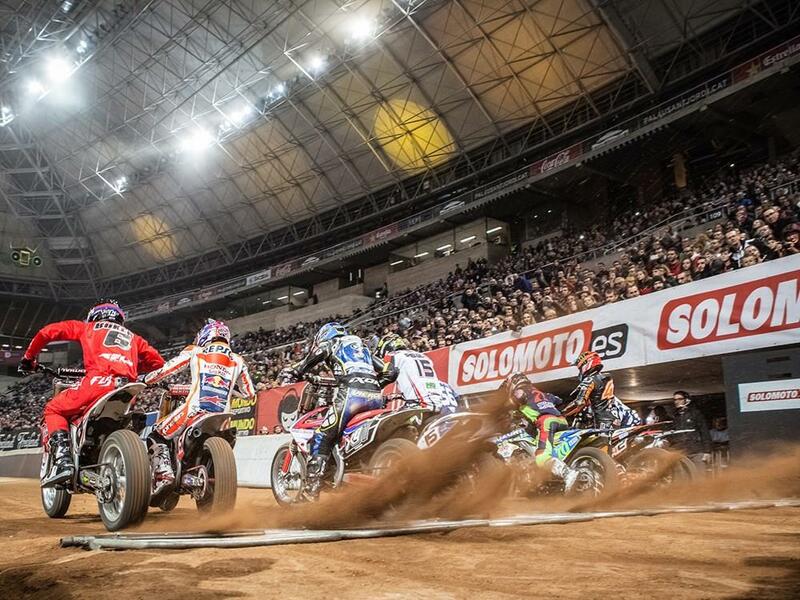 Some of MotoGP’s top stars are gearing up for this weekend’s traditional season-ender, Barcelona’s Superprestigio flat track race. Once again led by Marc Marquez, the race features some of the top talent from road and track racing. Marquez is joined by a number of fellow Grand Prix world champions, including brother and former Moto3 champion Alex, first ever Moto2 world champion Toni Elias, and 125GP champions Nico Terol and Julian Simon. A host of other Grand Prix regulars will join them, with Fabio Di Giannantonio, Joan Mir, Marcos Ramirez, Jorge Martin and Albert Arenas only some of the names appearing. From the superbike paddock, the entry is led by 2003 WSBK runner-up Reuben Xaus, joined by 10-time Endurance World Champion Vincent Philippe, WSBK front-runners Jordi Torres and Xavi Fores, and World Supersport race winner Kyle Smith. They’ll face off against some of the biggest names in flat track racing, with double winner and AMA Pro Flat Track champion Brad Baker heading the list, joined by Speedway Nations World Cup winner Fredrik Lindgren, five-time supermoto world champion Tom Chareyre and Japanese drift racing specialist Masatoshi Ohmori. However, one name missing from the entry list is four-time AMA champion and 2014 Superprestigio runner-up Jared Mees,who is still recovering from a brokjen collarbone suffered last month while testing, much to his dismay. There’s also a strong British contingent in the open class, with reigning British DTRA Dirt-track champion Alan Birtwistle joined by runners-up George Pickering and Toby Hales and past Superprestigio finalist Oli Brindley.